Clint Adams has seen plenty—but nothing quite like the Magic Man. After watching him take down three petty thieves with a pair of guns that appear out of thin air, Clint decides to ride along with this travelling magician...and maybe even learn the tricks of his trade. But someone is following close behind—someone convinced that the Magic Man is no man at all, but the Devil himself. And he won't stop until he sees the Devil dead. 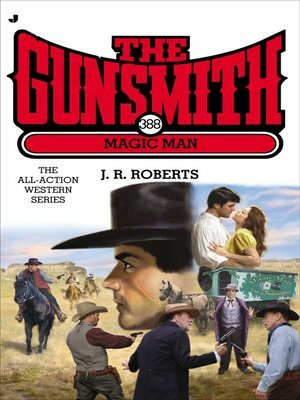 Now, even with the Gunsmith's skill and the Magic Man's tricks, it'll take a miracle to stay alive.